Janasena's loyalists have always kept faith on the victory of the party in upcoming general elections. Of course, some anti critics, leaders of TDP and YSRCP have also been threatened by Janasena's victory in the poll battle. Hiding this reality, biased critics, pro TDP media, pro YSRCP media and some anti fans of Janasena kept on degrading Janasena's status through various means like fake surveys, hatred filled articles and programmes etc. Nevertheless, Janasena chief has silently scripted his strategies amidst that huge negativity from his rivals. Finally, he started to implement his strategies which turned master strokes to his rival political parties. The other day, Janasena chief had a crucial meet with BSP chief Mayavati and got the alliance confirmed with the party. This was an unexpected blow to YSRCP and TDP. As BSP was given 3 MP seats and 21 assembly seats, BSP can easily split SC vote bank of YSRCP and TDP. On the other hand, Janasena is continuing its tie up with CPI and CPM. Both the parties will together get around 25 assembly seats. 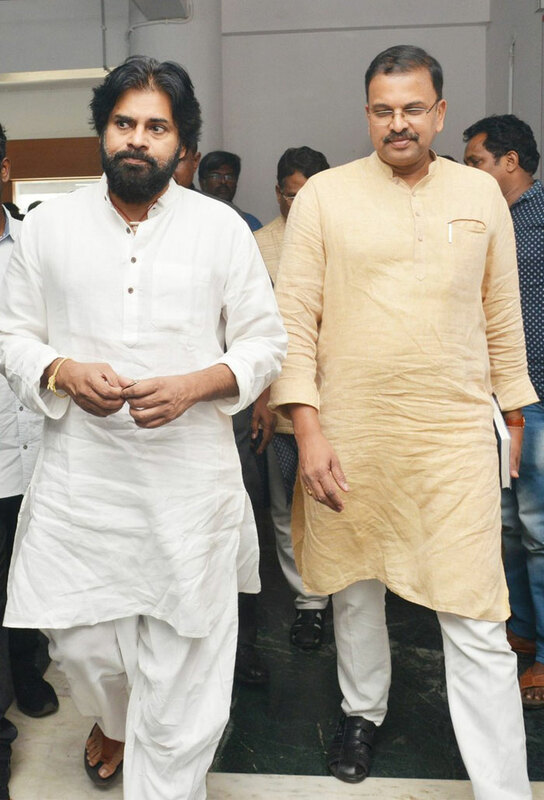 On a whole, Pawan Kalyan has been succeeded in forming a grand alliance with the combo of Janasena, BSP, CPI and CPM. Much to everyone's shocker, CBI JD Lakshmi Narayana joined Janasena a day before. Janasena has been strengthened with the entry of Lakshmi Narayana who has set great ambitions to serve the people. Reports are also being circulated that top politicians like Mudragada and many more are set to join Janasena. All in all, Janasena appeared to have turned as a giant in AP's politics. Let's witness how well Janasena conquers the poll battle. Rakul Grabs a Mega Hero's Film!